First time traveling to Myanmar? A trip to Myanmar is definitely one of the most rewarding places you can travel in Southeast Asia because the country is just so unique and different to other parts of Asia! The people, the stupas, the mountains, the jungle, the food...going to Myanmar is really and truly an experience of a lifetime! The town of Taunggyi is easily one of the most fascinating places you can go in Myanmar because it’s a true melting pot for Muslim, Chinese and Nepalese cultures. There are very few places in Asia where you can see mosques, pagodas, and Hindu temples all in one place! Taunggyi is also home to a huge daily market where you can mingle with the locals and sample some local delicacies. 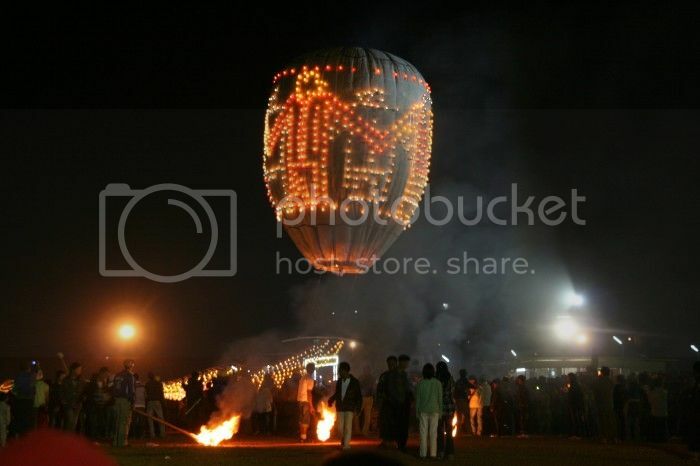 Having said this, the main reason to visit Taunggyi in the first place is to experience the annual balloon festival held in the first week of November. Taunggyi Balloon festival is easily one of the most popular events of the calendar year in Myanmar as the entire festival last seven days. During this week, you can expect to see the most amazing balloons decorated with lanterns and fireworks. The town of Bagan is without question, one of the places not to miss in Myanmar because of the huge amount of temples and pagodas to be seen. There are literary thousands of these solid structures across Bagan, all of which built with different shapes and sizes. 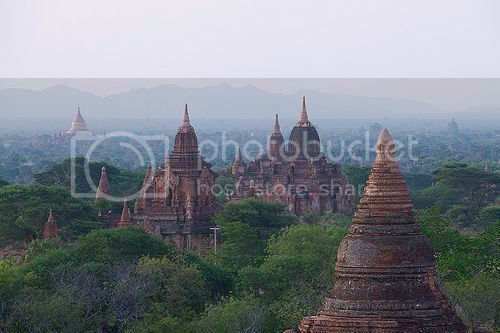 Some of the must see ones are the temples of Minyeingon and Dhammayangyi, and the pagodas of Bupaya, Shwezigon and Dhammayazika (these are the oldest landmarks in Bagan). One of the nicest ways to see Bagan it’s to hire a horse cart to ride (~$20p/day) and let the driver take you around the sights. You could also rent a bike very inexpensively (~$2p/day) and see the sights yourself. However, if you’re only going to be in Bagan for the day, it’s best to hire a car there, which will cost you roughly $50 for the day (including the driver/guide). Another cool thing about visiting Bagan is having the opportunity to go for a hot-air balloon ride with "Eastern Safaris", which is run by former British pilots. 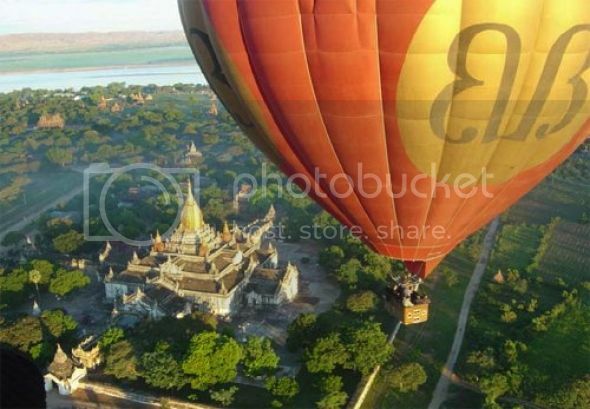 A hot-air balloon experience in Bagan is definitely worth it because you get to enjoy the most amazing views over Bagan, the temples, the hill-top pagodas, the beautiful Ayeyarwaddy River, and the lovely floating villages of Inle Lake. While you're in Bagan, be sure to pass by the Old Bagan jetty to book an evening river cruise with the local fishermen and enjoy some of the most pleasant views of the sunset in Myanmar! If you’re looking for more stunning tourist spots, don't forget to add Pindaya Caves to your list of places not to miss in Myanmar. These caves are't far from Taunggyi and they're truly fascinating to see not only for the beautiful limestone formations, but for the huge number of Buddha statues. 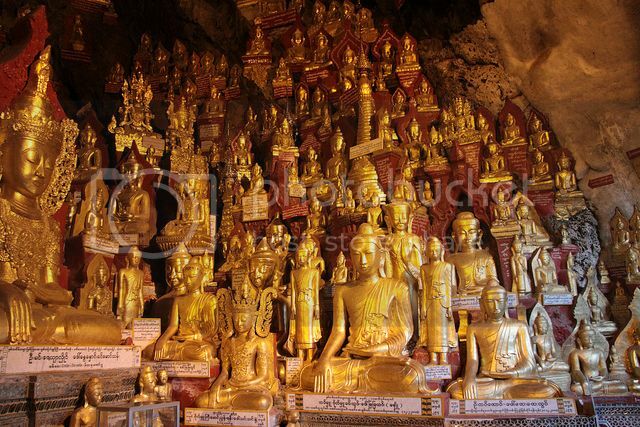 There are over 7,000 of these Buddha statues (in all sizes) littered along the corridors of the caves. Seeing the magnificent spectacle of the golden Buddha statues and experiencing the peacefulness inside the Pindaya Caves will be one of your most memorable experiences in Myanmar! The Bago Yoma forest is another place worth adding to your itinerary of places to see in Myanmar because it is the best place to go in the country for elephant rides, jeep safaris and jungle treks. Bago Yoma forest is home to several elephant camps - Myaing Hay Wun Elephant Camp and Pho Kyar Forest Camp – both offering day and 2-day jungle tour adventures. By the way, it does get seriously hot in the jungles of Myanmar so it’s a good idea to do a jungle safari during the best months of the year, which are the winter months (November thru January) and right at the end of the monsoon season (June thru September). 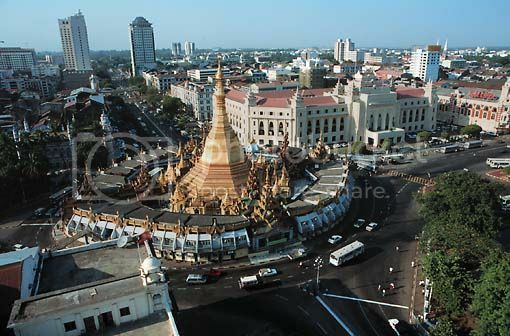 Yangon is no doubt, the best place to go in Myanmar to appreciate the British influence in the country since the Yangon is home to a huge number of colonial buildings such as St. Mary's Cathedral, which contrasts beautifully with the city’s ancient pagodas. There’s definitely plenty more to see and do in Yangon so you’ll need a good few days if you want to visit all the attractions in the city. 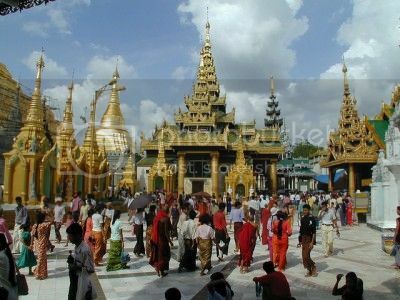 Some other tourists attractions worth visiting in Yangon include: the Taukkyan War Cemetery, People's Square and Park, Yangon National Theatre, Shwedagon Pagoda, the National Independence Monument, and Bogyoke Aung San Market, which is a nice place to do souvenir shopping, buy silver jewelry and lacquerware, as well as local handicrafts such as Burmese harps. Putao is the most remote town you can travel to in Myanmar, though it’s the place to go in Myanmar if you want to book trekking expeditions to the Myanmar Himalayas. Two of the most popular treks from Putao are the treks to the summit of Mt Phon Kan Razi, Mt. Phangran Razi and Mt Lamcrumadin Razi, which are treks that even beginners can do. Even if you aren’t looking to do a trekking expedition in Myanmar, the town of Putao is definitely well worth the trip (if you can make it up there) because of the beautiful forest surrounding it, which is teeming with a ton of wildlife such as monkeys, bears, deer, mountain goats, etc.